Department store giants growing extinction puts them on what I’ll refer to as the retail endangered list. Eaton’s, Zellers, Woolworth’s and Simpsons are but faint memories. And no one can forget the more recent epic rise and fall of Target’s foray into the Canadian retail landscape. An aspect that Eaton’s and Sears shared was their strength in catalogue sales. In the world before e-commerce, catalogues were an incredibly viable sales medium for the spread out population of Canada. I would argue a majority of the Sears catalogue faithful moved to e-commerce, making the hard copy an unnecessary expense. I think that’s a simple answer for its demise. The US Sears quit producing catalogues in 1993. That means the Canadian counterpart outlived them by 23 years. To answer my own initial question, no, I didn’t notice there was no longer a Sears catalogue. Which is likely an indication I’m not spending enough time with grandmother as she always has one nearby. I will miss the Wishbook most. I have fond memories of dog-earing and identifying all my Christmas wants for my parents each year. Canada’s first introduction to the Sears brand came from a partnership with an already established homegrown brand. In 1858, Robert Simpson founded his self-named department store in Newmarket, Ontario. As some people will recall, there was a time when Sears Canada was referred to as Simpsons-Sears. Simpsons were approached by the American retailer Sears, Roebuck and Co. in 1952 to create a stronger Canadian brand. New stores under the partnership were known as Simpsons-Sears, with some Simpsons’ only stores remaining on their own. Hudson’s Bay Company acquired the rights to the Simpsons’ only stores in 1978 and under federal competition laws the Simpsons stores and Simpsons-Sears could no longer share facilities. Though the name Simpsons-Sears carried on into the 80s, the partnership stores were officially renamed Sears Canada in 1984. Fast forward to the structure of the corporation today. Sears Canada is now a publicly traded company of which the US parent Sears Holdings owns approximately 12 per cent in shares. They owned up to 92 per cent at one point in their history. This is a good news for Sears Canada because despite news that US Sears is past the tipping point of recovery, Sears Canada has a fighting chance to save itself. They have an uphill battle as they continue to post losses amid sliding sales each quarter. They are doing everything they can to bring shoppers back including a new logo unveiled in fall 2016 and updated store formats. Saskatoon has been touched by the Sears’ struggles with the Sears Home Store on Circle Drive closing its doors in April 2016. However, the Midtown Plaza is still home to a Sears anchor tenancy downtown. 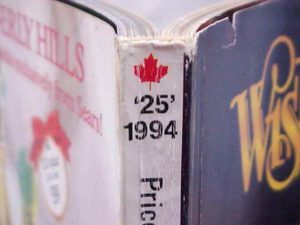 The catalogue sales, now online order, pick up locations continue to exist in Saskatoon as well as every small, rural community with an available storeroom. It’s not unheard of for these pickups to be located in flowers shops, pharmacies and private clothiers. Sears Canada is even creating jobs in some markets. It was announced in January that Edmunston, New Brunswick would see the creation of 180 jobs for a Sears business centre; and Saint John’s, New Brunswick would receive an even larger Sears business centre with 350 new jobs. I will personally keep nostalgically hoping that the Sears department store hangs on to see another retail rejuvenation. Almost 160 years says it could.